Last year as Houston’s world-famous Astrodome celebrated its 50th Anniversary, many of the folks in attendance were left to wonder if that celebration would be its last. 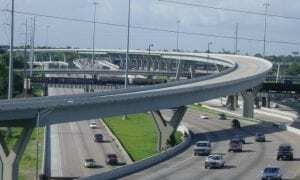 Since Harris County voters rejected a 2013 proposal to rehab the structure, many have been watching and waiting for some bad news to come. Even as Judge Ed Emmett continued to push for solutions and not give up the cause, many have prepared themselves for some inevitably tough news. 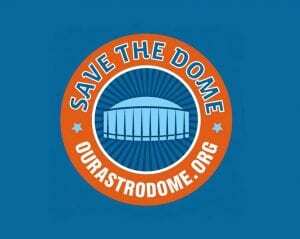 Which is why this week’s discussions about a new plan to save the dome seemed equal parts fact and fiction. Have county leaders really devised a plan that would not only save the historic structure, but do so at less than half the cost of the 2013 plan?? It doesn’t seem possible, but apparently this is what has happened. Harris County Commissioners voted unanimously Tuesday morning to move forward with a major renovation project that could keep the Astrodome from being demolished for years to come. The $10.5 million approved Tuesday is the first piece of a $105 million project that would raise the floor of the Astrodome two levels and put 1,400 parking spaces underneath. County officials believe that would make the Dome suitable for festivals or conferences and usher in potential commercial uses in the more than 550,000 square feet that surrounds the core. Raise the Astrodome floor 30 feet to ground level, greatly easing vehicular and equipment access. Install two levels of underground parking beneath the raised floor, adding approximately 1,400 premium parking spaces and additional storage. Raised floor will create nearly eight acres of secure, column-free and weatherproof open space for use by the Houston Livestock Show and Rodeo, the Offshore Technology Conference, boat show, auto show and more than 100 festivals and community events that are currently subject to threatening weather and /or parking limitations. The Astrodome’s upper levels encompass more than 500,000 square feet and will become available for redevelopment for a variety of uses. The plan saves the iconic Astrodome for future use while converting the building into a revenue-generating asset for the taxpayers of Harris County. After years of sifting through scores of elaborate solutions, in typical Houston fashion, simplicity seems to have won out in the end. Best of all, the funding scheme put forth by Commissioner’s Court will not raise taxes, and does not require voter approval. So basically, the Astrodome will be sticking around for a while. 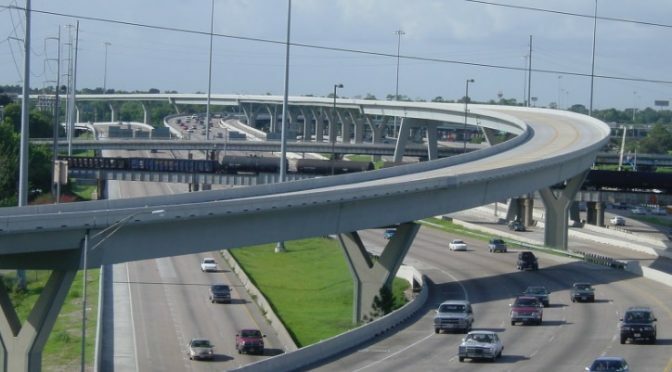 In the coming weeks and months, this is sure to be a hot topic around Houston, as area voters discuss the merits of the plan. 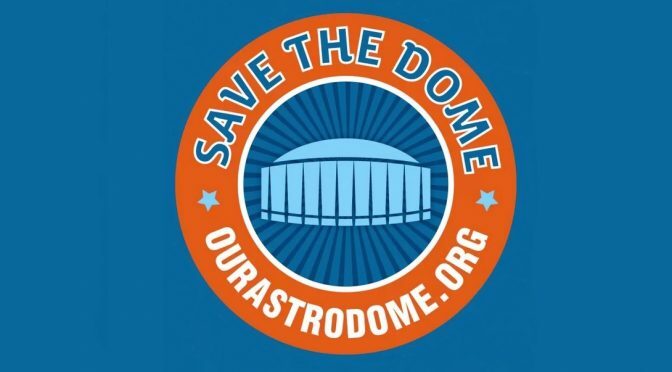 Supporters of the Dome may find the project underwhelming, while opponents will call it a waste. But the far greater injustice is what has happened over the years as this incredibly unique has sat idol, collecting dust. It would be nearly as expensive to tear down, so citizens should be encouraged by what County leaders have offered today. Look out Houston… we just might save the dome after all. Wait… How Many Teachers Would Lose Their Jobs If Trump Is Elected?? Is it November the 9th yet?? No seriously… many Americans have had it up to HERE with the 2016 election. For various reasons, they don’t like either choice being offered as the country’s next Commander-in-Chief for the next four years. There will a be a follow-up post soon to hopefully help ease the pain of that choice, but for now, let’s just call the spade what it is: a SPADE. Ok now that we’ve gotten that out of the way, it’s time to remember that the 2016 elections really ARE happening, and they’re really not a joke. It’s unfortunate that so many in the mainstream media have simply refused to cover substantive issues in lieu of Hillary’s email saga and Donald’s daily antics. But someone has got to step and speak the truth of why this election is important. And, we also have to entertain the possibility that Donald Trump could become the next President of the United States. This is happening… it is REALLY HAPPENING. 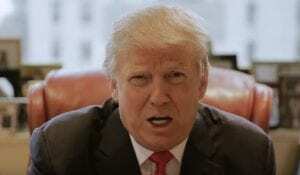 So what would the United States Education system look like under a Trump Administration, and a ReTRUMPlican-controlled Congress? Well, from the, uhh… “plans” he has on his website, it’s kind of ambiguous. I’m a tremendous believer in Education, but Education has to be at a local level. We cannot have the bureaucrats in Washington telling you how to manage your child’s education. So Common Core is a total disaster, we cannot let it continue. We are rated 28th in the world… the United States, 28th in the world, and frankly we spend far more per pupil than any other country in the world by far, it’s not even a close 2nd. So here we are… we spend more money, and we’re rated 28th. Third World countries are ahead of us. We’re going to end Common Core, we’re going to have Education an absolute priority. It’s fair to say that Hillary Clinton’s Education Plans are a bit more detailed. 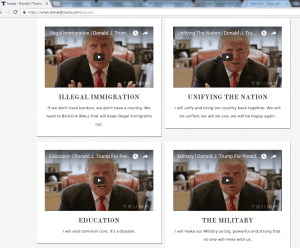 Lacking actual proposals or facts, serious voters have to turn to Donald’s Trumps public statements to try and piece together his views on education. CBS News gives a decent attempt at comparing Clinton and Trump, though it’s hard to actually do so when one side lacks accountable facts. For Higher Education, Trump acknowledges that students are in debt, but offers no solutions whatsoever to help those with student loans. Instead, he suggest that debt would go down if colleges just “let in fewer people.” Disturbing to say the least. But the real scare with a President Trump lies in what could happen to our public school system. In a word, it would be essentially destroyed, with “school choice vouchers” as the only alternative. And just how many of our nation’s hard-working teachers would hear the signature phrase “you’re fired” if Mr. Trump is elected?? Per the Center For American Progress, nearly half a million educators would receive pink slips. 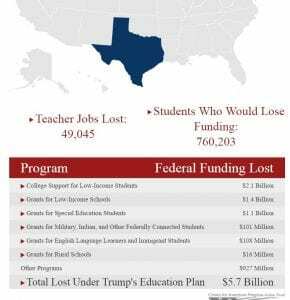 And for those wondering, a full 49,000 those teachers would be taken from Texas public schools. Besides our decimated K-12 schools, the Trump campaign has apparently promised to eliminate the Pell Grant entirely, and eradicate most other forms of Financial Aid. With a lack of ability to pay for college, students would be unable to attend or finish any degrees. This is more than a way to reduce student debt… it’s a way to also destroy our nation’s higher education system. This is real folks. Please know before you vote. The 2016 elections are more important than ever before. Are we really willing to put our entire education system at risk for the guy who’s only experience in the field is operation of the ponzi scheme Trump University?? One more time… know BEFORE you V-O-T-E!! The Texas Progressive Alliance prefers tote bags for its deplorables as it brings you this week’s roundup. Off the Kuff encourages you to read the Houston Chronicle’s story about how special education services have been systematically denied to Texas families. Libby Shaw at Daily Kos is not in the least bit surprised to know TX Governor Greg Abbott threw his hat into the ring with the The Grand Wizard of Birtherism. On Sept. 11, Socratic Gadfly looked back at 9/11 and reminded readers of many repeated, recurring causes of death that kill almost as quickly as 9/11, some with political connections, that still don’t get truly addressed. Political polling wizard Nate Silver tells Democrats they can start to panic this week, as passed along by PDiddie at Brains and Eggs. Neil at All People Have Value took the Harris County Volunteer Deputy Voter Registrar class this past week. It takes a long time to really be able to register anybody after you take the class because the Republicans who run the county don’t want you to register anybody. APHV is part of NeilAquino.com. The gap between the lived experiences of White Americans and Americans of color is significant. With this in mind,Texas Leftist offers a viewpoint on and justification for Black Lives Matter. Most that have lived the experience of being unlawfully detained (or worse) by police see the movement as not only valid, but necessary. Better Texas Blog has a bit of good news in the fight against food insecurity. The Lunch Tray packs up six years of lunch packing advice. Grits for Breakfast interviews Rebecca Bernhardt, executive director of Texas Fair Defense Project, which is one of the plaintiffs suing Harris County over its bail practices. Streetsblog wonders why TxDOT doesn’t believe its own data that show Texans are driving less per day on average than they were a decade ago. Eileen Smith has a few questions about those charitable Trump portraits. The TSTA Blog sounds the warning about school vouchers again. If you’re going by much of the press regarding the Millennial generation, it’s easy to think that all of us are lazy, overly opinionated, and self-involved. Of course this is simply not the case… this generation is one of incredible knowledge and skills, and has unmatched command of the digital sphere. But sadly, those skills have been hampered by some difficult times. Unlike the Gen Xers and Baby Boomers before us, Millennials have come of age in an era of economic uncertainty. Though we have much to contribute, many opportunities for advancement were put on the back burner in the wake of September 11th, and the Great Recession. Lacking the access lanes of our older counterparts, Millennials instead have chosen a different path. A generation of global citizens, we choose to not only focus on ourselves, but also spend much time tackling some of the world’s most difficult problems. Long before the Millennials developed their sense of identity, many of these same traits showed up in one pivotal GenX artist. Though born into a family of extraordinary fame and privilege, Janet Jackson was less apt to the headlines than others. She may not have had access to cell phones, internet or social media, but she nonetheless grew up as an ultimate observer and seeker of knowledge, as her siblings provided the youngest Jackson a crash course on how to be famous and successful. Inspiring as it was, this situation was also a challenge for Jackson, as she had to struggle with how to find her voice in the long shadow of her family. After a few unsuccessful attempts, Jackson finds her lane on the Control album, thanks in part to the talents of legendary producers Jimmy Jam and Terry Lewis. Interestingly enough, even as Jackson longed for equality over the song’s infectious beat, she was also keenly aware of how unequal the world was, especially for Black communities. 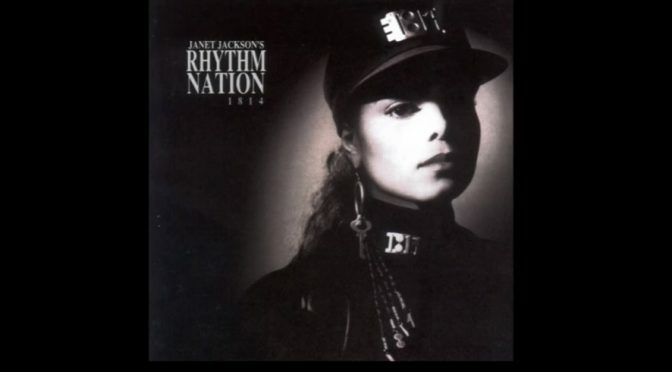 From the ‘RN’ album cover, to the videos to its overall theme, Jackson wanted to provide a positive image for Black America to combat the negativity being constantly thrown their way. Here’s Ms. Jackson’s quote on the subject. The color black has become increasingly important to me. It hurts my heart to watch the television special ‘Black in White America,’ when the Black girl picked the white doll over the Black. That’s why I decided the color scheme for Rhythm Nation – the costumes, the cover art, the overall feeling – would be positively, uncompromisingly Black. In the Millennial generation, these same sentiments have led to the Black Lives Matter movement. Forth from it’s title track, ‘RN’ continues to heed the call for social change. State of the World tells stories of homelessness and prostitution (concepts too easy to ignore in pop music), while The Knowledge gives listeners the one key to improving these tough circumstances which can’t be taken away. After watching news coverage of an horrific murder of school children, Janet Jackson felt compelled to write the ballad Livin’ In A World (They Didn’t Make) to speak out against gun violence. 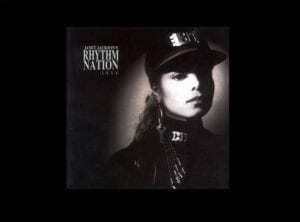 As we all know, Janet Jackson’s Rhythm Nation 1814 was a huge success… a Grammy Award winner, the best selling album of 1990, 4 Number 1 hits across 3 calendar years, and a record-setting 7 top 5 singles. But even a full 27 years since its debut, this work continues to resonate where many others have fallen away. From the timeless beats and instrumentation to the important message, ‘RN’ has proven an important voice across four decades and two centuries. That’s no small feat in the fickle world of pop music. As Millennials continue their journey to prominence, they will find much to discover in the work of Ms. Jackson. What happens when you combine a ground-breaking hit a capella group with one of the music world’s most CRUCIAL legends singing a country classic? A new reason to celebrate. Fresh off the Oceanic leg of their world tour, the Pentatonix team up with the incredible Dolly Parton to deliver a rousing rendition of her hit 1974 country hit Jolene. Parton is just months shy of celebrating 50 years as a solo recording artist, with her debut album Hello, I’m Dolly released February 13th, 1967. But you sure couldn’t tell it from looking or listening, as Parton’s sweet sounds meld flawlessly into the Pentatonix’ fresh new arrangement. Take a listen for yourself, and be sure to get the song on iTunes or your favorite streaming service! 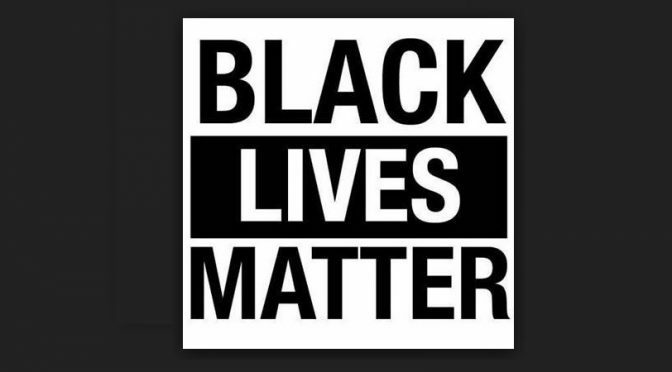 For many folks across the country, the Black Lives Matter movement is wrought with controversy. Even today, many White Americans do not understand the continuing frustration that communities of color have with some of those in law enforcement, and they certainly don’t understand why people seem to be out and ready to protest on a regular basis. As has recently been seen in Houston, the activity has even led to counter-protest by “White Lives Matter” individuals. And even for those of us who DO understand, the reasons for such a movement can be an incredibly difficult set of circumstances to explain to others, especially those not actively seeking the knowledge. Someone who believes, for example, that African-Americans are just “naturally more violent” than whites is unlikely to understand the general concept of transgenerational trauma, much less the myriad of societal injustices which have plagued American communities of color for centuries. With this seemingly insurmountable task in mind, here are a couple of videos that may help..
Black in White America— This groundbreaking ABC News Special Report aired in 1989, and examines evidence that even younger Black children suffer from a lack of affirmation in society, and as a result, de-value in their self-worth, and in some cases, the worth of others. Again, this video is from over 25 years ago, long before the most current iteration of Black Lives Matter. Race Baiting 101— Created by award-winning documentarian Matthew Cooke, this video provides an excellent timeline of American society’s relationship with the Black community, and how and where it has intersected with the White Community. The above is also a great lead up to Dr. Joy DeGruy’s research into Post-Traumatic Slave Syndrome. Again, this is a highly provocative concept, but one worth consideration. 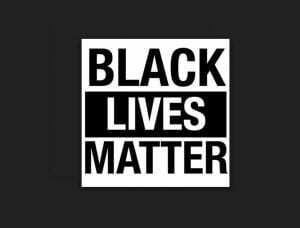 So for those that are truly struggling, here are a few resources that may help people understand, or a least chart a path to understanding, some reasons for the Black Lives Matter movement. It’s no secret that this year’s Presidential Election, perhaps more so than ever before, is about two drastically different visions of America. But what we haven’t necessarily considered… Which of those futures is going to have more food options?? 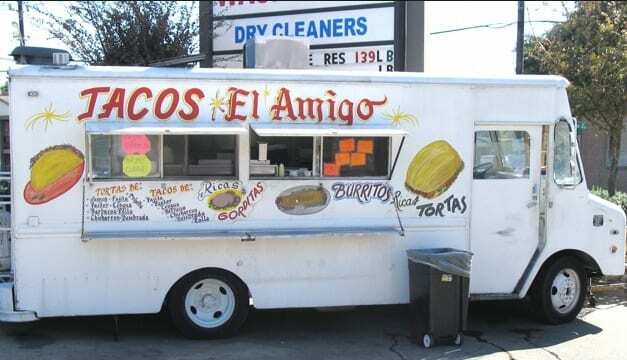 Thursday night in an appearance on MSNBC, Donald Trump surrogate Marco Gutierrez warned of impending taco overlords if immigration continues unchecked. 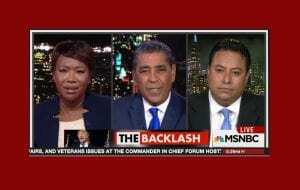 Along with Mr. Gutierrez’s meme-ready comment, the other guest on All In With Chris Hayes’ substitute host Joy Reid was Adriano Espaillat, whom if successful this November, would become the first formerly undocumented person elected to Congress. Contrast that with Marco Gutierrez whom has no problem referring to himself as “illegal” and per Sanders, is the beneficiary of the LAST time a United States President and Congress established a pathway to citizenship for a wave of undocumented immigrants. WHICH is why he can sit in front of the TV camera and make dumb comments that immediately go viral. But apparently what was good for him and his family isn’t going to work for undocumented people just trying to find a similar pathway to citizenship today. It may sound like a nightmare to Gutierrez, but as the Washington Post points out, many Americans seem all too ready to embrace a future with more delicious food options. What’s wrong with the United States embracing a vital part of its heritage, while simultaneously putting more people to work?? The same can be said for the creation of jobs and economic benefit of simply doing the right thing and creating a pathway to citizenship (AGAIN) for our nation’s current undocumented population. As we’ve seen after four years of the DACA program, the cost of helping the undocumented community to stay not only pays for itself, literally through an application fee, it removes the tremendous strains being put on our law enforcement agencies to conduct expensive deportations. In fact, the Center For American Progress states that even enacting the current DAPA and Expanded DACA programs proposed by the Obama Administration would cause a significant boost in economic activity. So sorry Mr. Gutierrez… if a vote for Hillary Clinton and Democrats is going to lead to Taco Trucks on every corner, then by all means, pass me a plate, with extra green sauce!! Which reminds me… I’m late for lunch.